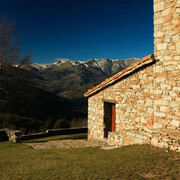 The Pyrenees Mountains in Spain are the largest stretch of mountains in Northern Spain. They stretch from the shores of the Atlantic Ocean in the west to the coasts of the Mediterranean Sea in the east. 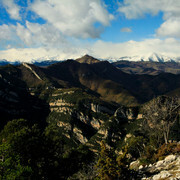 The Pyrenees Mountains are known to outsiders primarily for their superb skiing. The pleasant weather conditions in the Pyrenees during the summer months, in combination with the breathtakingly beautiful mountains and valleys, make the Pyrenees a great place for a walking holiday in Spain.